Summary: It is, indeed, raining fitness books out there in Indian publishing and, thus, coming to light are the names of the celebrity fitness instructors we had little known of before. Be it Rujuta Diwekar, who had set the trend, Deanna Pandey, Payal Gidwani Tiwari, Abhishek Sharma or, this time, Leena Mogre, all of them, in an attempt to commercialize themselves as brands, are taking assistance of literature to reach out to the masses and by letting out a mere percentage of what they know, are securing a lot more footfalls to their fitness studios of the people who are curious to know the rest. It's easier to copy a model than to make something new: doing what we already know how to do takes the world from 1 to n, adding more of something familiar. Every new creation goes from 0 to 1. Sadly, the author has merely followed the footsteps of the aforementioned authors, letting out no new information, which could have been groundbreaking in the world of fitness. While the title of the book, Total Fitness, might appeal to quite a few who would want to know their bodies and being better, the content would fail to keep them hooked. Every fitness instructor-turned-author comes armed with a solid introduction, foreword or endorsement letter from big celebrities we admire looking at, like Kareena Kapoor, Katrina Kaif, Jacqueline Fernandez or Shilpa Shetty, to make him sound more credible while he lets out all that gyan about fitness in the book. Leena has chosen Madhuri Dixit to do the needful. 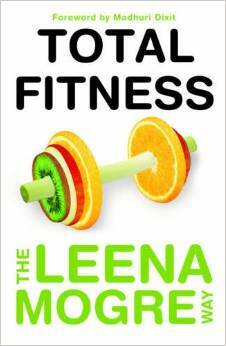 A brief TOC of the book gives a sneak peek into the topics discussed later, like myths about fitness, fad diets, managing lifestyles, exploring one’s true potential, starting out in the world of fitness, working out to his fitness, with the last, the “Leena Mogre” way concluding it all. 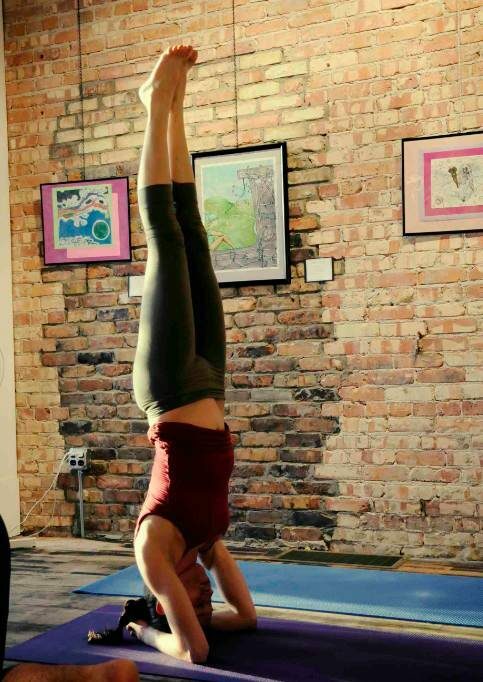 The author has been so selective in letting out the information regarding any topic she has taken up, like belly dancing, kickboxing, functional training, circuit training, etc., that you are left unsatiated by the end, wanting to know more. In fact, most of her views on things sound more clichéd and extremely basic. I assume anyone who would pick this book would, at least, want to know what total fitness is all about. Here, you would end up getting a feeling of browsing through an endorsement catalog of some famous chain of gyms – Leen Mogre in this case. The author has opted for a rather formal way of communicating to her readers, precisely resembling a serious monologue from a teacher to a student. To be honest, I failed to establish a connection with the author, a connection which would have made me itch to know more about her and look for her on Instagram or FB J. I think a more relaxed, informal mode of writing suits this genre of books better, as it takes the intended audience by hand and forces them to walk along till the last page. My favorite part of the book was the last section, where she has discussed the common problems her clients come to her with. She has recommended some very good solutions, including the diet they should be following, to those clients. That was, in fact, my takeaway from the book – the diet pattern one should follow under varied circumstances. Final word: While this book might come handy to someone who is just setting out in the world of fitness, it might not be of much use to someone who has read all the previously mentioned authors before or to someone who categorizes himself as at least an amateur fitness freak.